My name is Charlie; & I love Yogic Philosophy; DEBATING Religion, Politics & Societal Issues; & DISCUSSING Health, Education & Everything-Crypto. 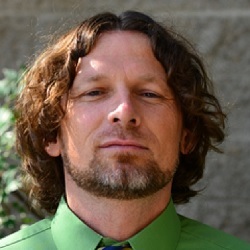 Currently, I am one of the three full time faculty members for the department of HPER (Health Physical Education and Recreation) at Yavapai College. I teach an array PHE Physical Activity Courses, PHE Content Courses, and even a Philosophy (PHI) Course in Ethical Issues in Health Care. I also manage the weight-room, the weight-room staff, and the PHE adjunct faculty on the Verde Valley Campus. Currently, I am online health/physical education adjunct faculty at Tidewater Community College (TCC). In 2010, I developed and currently teach online health courses: Human Sexuality, Principles of Nutrition, and Introduction to Personal Wellness Concepts. In addition, from 2006 to 2009, I developed and taught two online physical education courses: online Yoga and online Pilates. I had a total enrollment of well over a 100 students each semester. The students enrolled were from the four separate TCC campuses throughout the Hampton Roads area (Virginia), the local Universities and from other U.S. states. I have even had students participate while traveling outside the U.S.
From 2002 to 2006, I developed and taught four physical education courses for TCC: Yoga, Pilates, Cardio-Kickboxing, and Walking. When I began at TCC as an adjunct in 2002, I taught one weight training course. I had two students in the course, and I taught it for free. By Fall 2004, I developed and taught four physical education courses for TCC. I taught 14 to 18 credits each semester, with total enrollment being well over 150 students each semester. In addition, I was the Gymnasium Supervisor at TCC.